When we talk about stretching, mobility and flexibility, the terminology can get real confusing, real quick. ‘Passive stretching’, ‘active flexibility’, ‘active stretching’… these words are flung around like poop in a monkey enclosure at Chester Zoo. When I say ‘passive flexibility (or passive range of motion)’, I mean the range of motion you can access when you use something – maybe a hand, the floor, a strap, a prop – to help you into a stretch. For example, a seated forward fold will demonstrate your passive hamstring flexibility, as you are using the floor to assist you into the stretch. When I say ‘active flexibility (or active range of motion / mobility)’, I mean the functional range of motion you can access without external assistance. 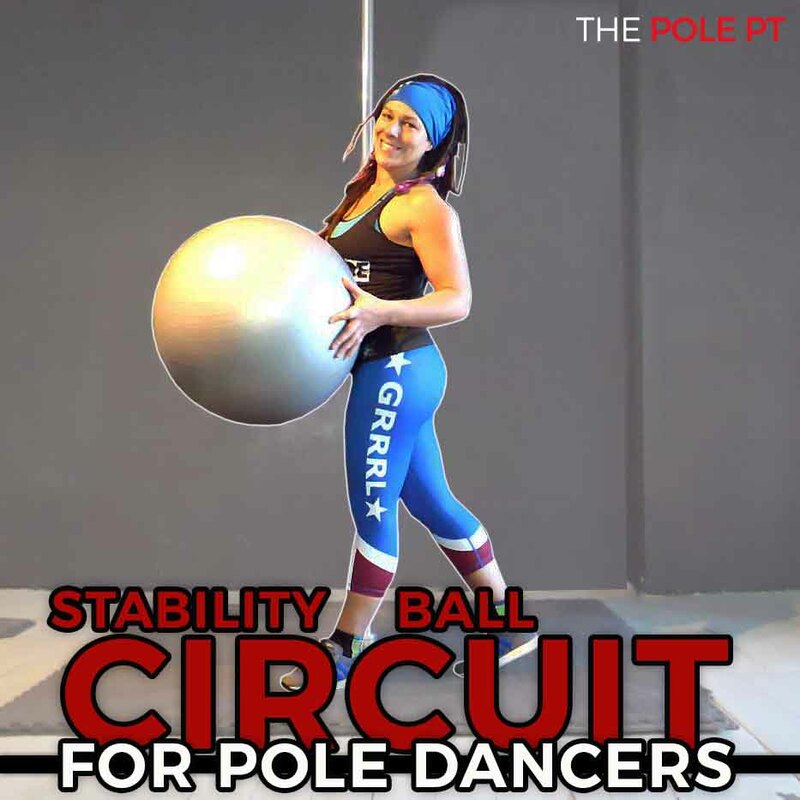 This is based on movement and control; your ability to get your body into a position without needing to use outside force – ie without a wall, a strap, a pole or a hand to pull you into it. To continue the example above, to demonstrate your active hamstring flexibility, that might be how far you can get your straight leg towards your chest in a seated position, without using your hand to pull it towards you. Some people refer to this as ‘mobility’ (and to ‘passive flexibility’ as just ‘flexibility’), but hey, it’s semantics. We’re all talking about the same thing! Like most things in life, it’s best explained with an infographic. I bloody love an infographic. 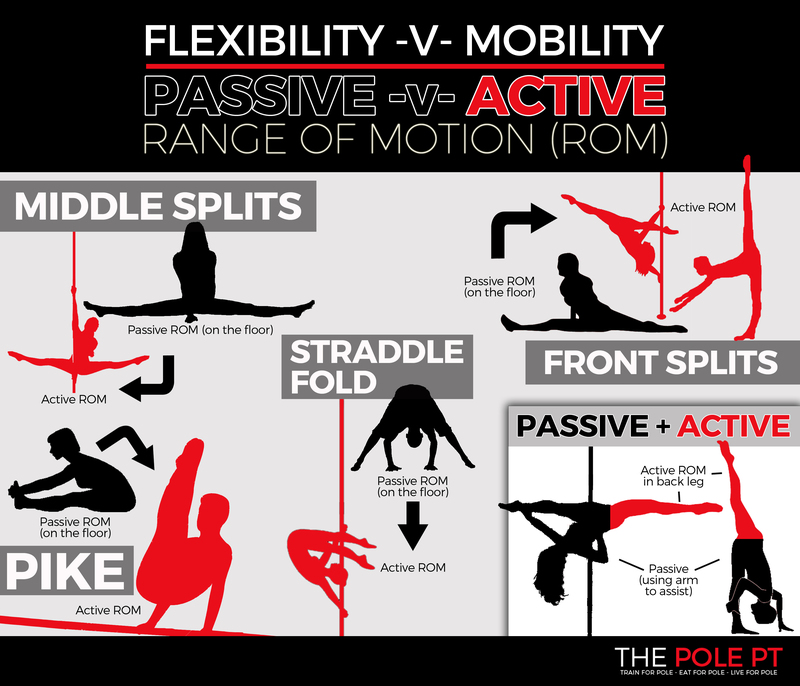 Now we’ve got that sorted, let’s look at the problem with passive flexibility in pole. You’ve been diligently incorporating all those lovely split stretches into your training and propping your leg up on any available surface at every opportunity. I know the drill— you’re waiting for the kettle to boil in the staff room, leg casually extended on the worktop and Barbara from accounting comes in looking more confused and irked than ever. It’s for the splits gains, Barbara, deal with it. But that passive flexibility you’ve been working so hard on won’t necessarily transfer seamlessly to the pole. 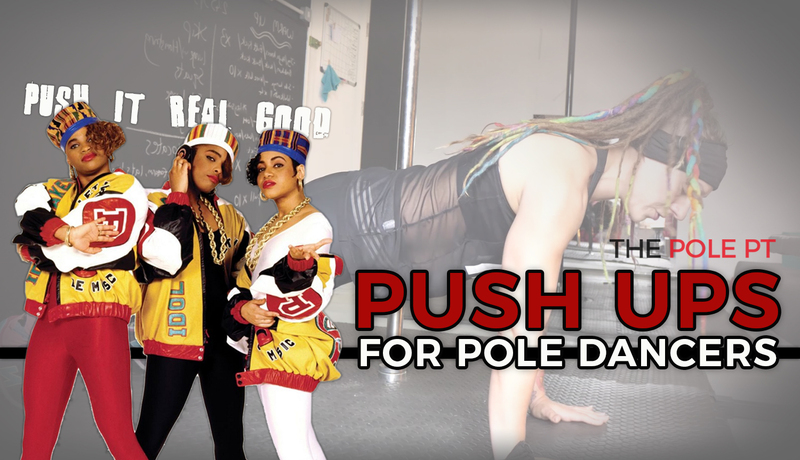 The ability to do a flat pancake stretch on the floor (a seated forward fold with legs straddled and chest to floor) means you have some impressive flexibility, but it doesn’t necessarily mean you’ll be able to see your Pleasers fly past your head in a straddle move on the pole, Cleo the Hurricane style. And getting touch down on your front splits doesn’t necessarily mean you’ll be able to get that back leg flat in your Jade. 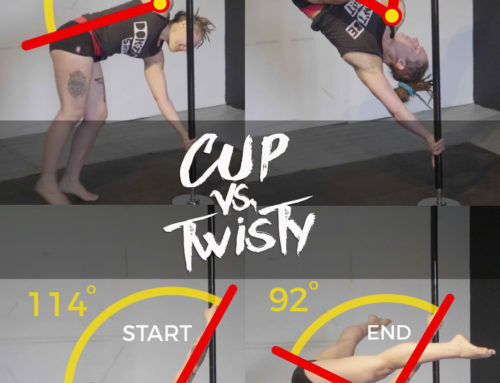 Both of those stretches—pancake and splits—look impressive on photographs, but take away the resistance of the floor, and all of a sudden, your flexibility is a little less Instagram-able. Let’s look at the Jade as an example. 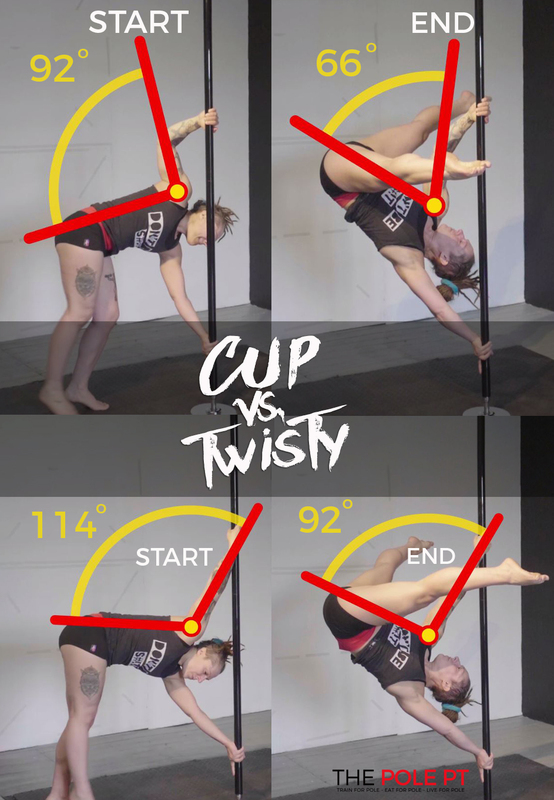 On the pole, you can pull the front leg with your hand (so you’ll get it straight if you have good passive range of motion in your hamstring), but your back leg has no floor to push against. You need to use your muscles to get it straight (this is where you need good active range of motion). I’m not saying passive flexibility is pointless. Far from it. If you can’t get passively into a position, you sure as hell ain’t gonna be able to get into that position without assistance. Passive stretching is great to get the body used to being in a new range of motion. You’re sending signals to your brain to say “hey, I’m okay here, we’re not gonna break, we got this”, and bit by bit, your body and brain will allow you to reach further into those positions. But at the same time as stretching, you should also be working on actively accessing that range of motion without assistance to strengthen the muscles at the same time. 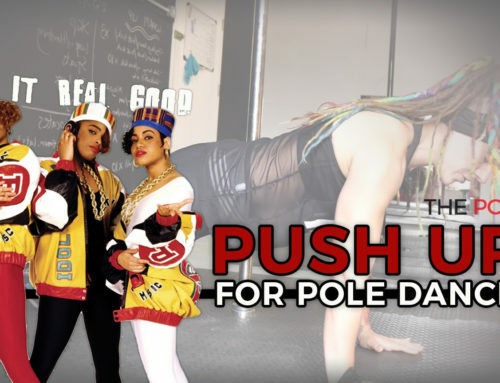 Building strength around the joints, tendons and ligaments to support you in the increased range of motion you are building with your passive stretching will not only mean you can transfer those flexi moves onto the pole more easily, but also more safely. 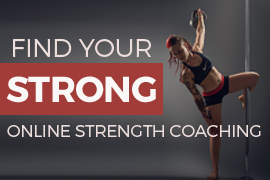 Regular and intense stretching can cause the connective tissues around your muscle and joints to loosen, making them weak and vulnerable to injury. Once a muscle has reached its maximum length, if you continue to push your stretches, it’s no longer the muscles that are stretching but the ligaments. Putting this kind of stress on your ligaments and tendons is seriously bad news for the stability of your joints and puts you at a highly increased risk of injury. Getting into that Bendy Kate chest stand might look cool for a photoshoot, but it really isn’t worth tearing a ligament or tendon for, trust me. This balance of stretch v strength (passive v active) is even more important for those with hypermobility and those working on oversplits and other advanced contortion stretches. Actively working in your full range of motion also means your body will be more prepared if things go wrong. If you don’t quite nail that Spatchcock and end up putting your joints into a temporarily strange and wonky place, the stronger you are in those end of range positions, the better your body will cope with those inevitable pole fails. So you know that you should be aiming to balance your (passive) flexibility training with active flexibility – i.e. building strength and mobility, “but how?” I hear you cry! Your passive range of motion will determine how far you could potentially go using active range of motion. Most people (myself included) have a huge gap that can be bridged between their passive and active range of motion. In the most basic terms, you just need to add some simple movements where you are actively moving towards your end range of motion. 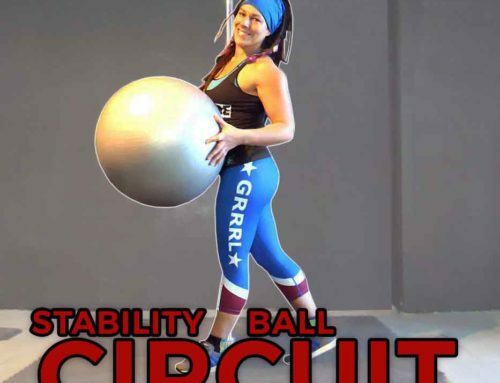 This video below from my mobility hero, Hunter Fitness, demonstrates (more succinctly than I could ever hope to) exactly what I mean. First, he demonstrates passive flexibility in his hamstrings in his forward fold. He can easily get his head to his knee using the floor and gravity to assist (that’s his passive range of motion). Then he shows an exercise he is using to try and improve his active range of motion (mobility). 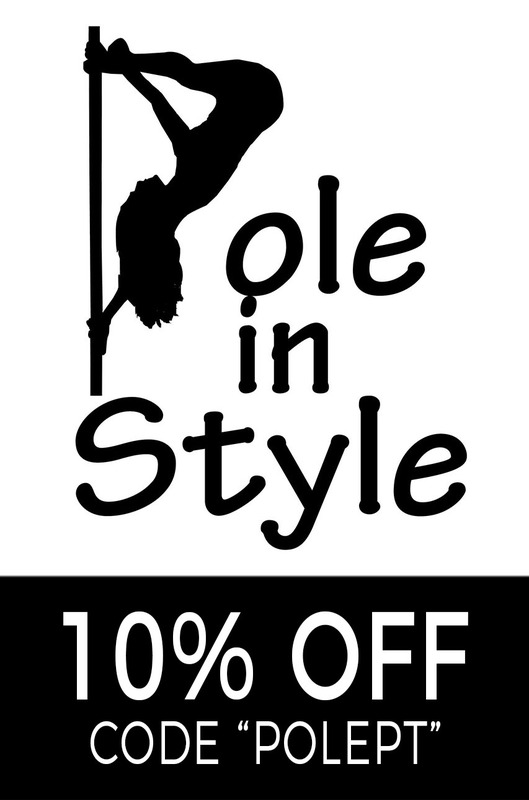 Take home: If you work on actively moving in your full range of motion, you’ll be able to strengthen that passive flexibility you’ve been working on and convert it into functional mobility on the pole— and you’ll be a much safer, much stronger poler as a result. Want to work on your active flexibility for splits? Check out my 6-Week Strength and Stretch for Splits programme – provided through the Pole PT app with scheduled workouts, progress tracking and all the splits knowledge you need to get hamstring touch down. Master your aerial splits strongly and safely – Strength and Stretch for Splits! If you want more customised mobility work, my fully personalised online personal training programmes include range of motion screening so we can build in the mobility exercises YOU need to be a better poler. Check it out here.